As London prepares to host the Olympic Games for the first time since 1948 the people of Oughterard and Glann would like to pay tribute to their Olympian hero, Cummin Clancy who participated in the 1948 Olympics. Cuimmin is the youngest child of the late Matt and Annie Sullivan Farravaun. He was born on the 9th November 1922, educated at Glann National School and then trained as a Garda. Garda Ned Tobin, based in Galway noticed Cummin’s ability as an athlete when he competed at Ross, Cornamona and Seaneaglish sports to name a few in the forties. Ned was impressed at his sheer strength, skill and natural ability as a discus thrower. Cummin stationed in Dublin, joined Donore Harriers Athletic Club. He broke the Irish record for discus throwing. In 1948 just a fortnight before the Olympic Games he won the British A.A.A. Championship. 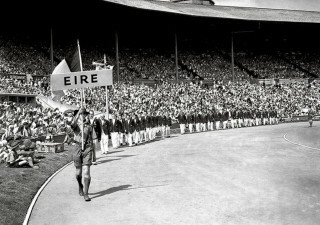 He was 26 years of age when he was chosen one of 73 Olympians (68 men and 5 women) to represent Ireland in London. In Wembley Stadium with 85,000 in the stands he walked out and took his place as the first person from County Galway to represent Ireland at the Olympics. And then it all went wrong, Cummin’s best throw came to 40.73 metres almost a full 4metres short of the distance needed to make it to the final. His one shot at the Olympics fizzled out as soon as it had begun. Even though he suffered disappointment his life changed forever on that trip to London. More than that, Irish athletics changed forever. While there Cummin and 400 metre runner Jimmy Reardon were approached by an American coach who asked if they would like to come and compete for his University on an athletics scholarship. The coach was Jumbo Elliott, the university was Villanova. Cummin and Reardon became the first Irish athletes to join up, beating a path that was followed down the decades by waves of recruits from Ronnie Delaney to Eamon Coughlan to Sonia O Sullivan. While there he represented his university with distinction. 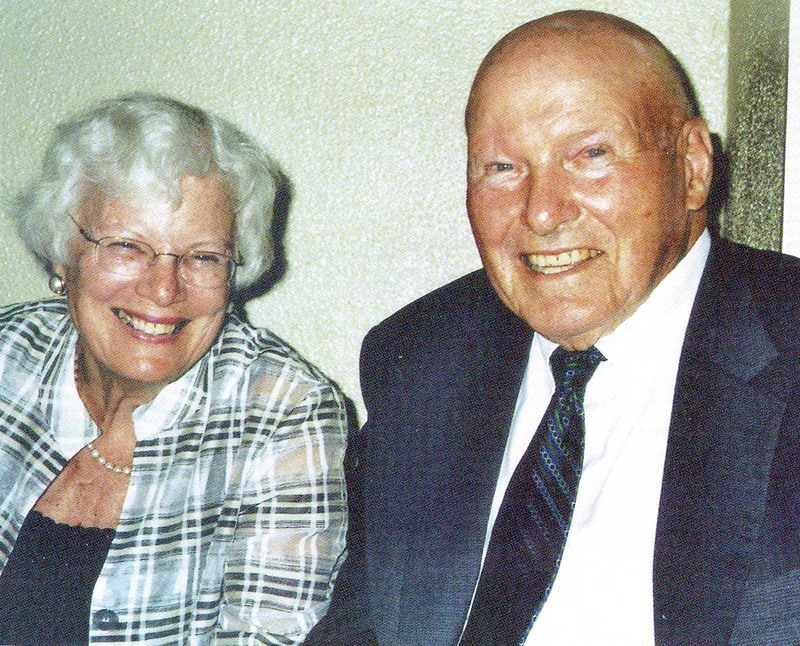 He graduated as a Bachelor of Science and Economics and went on to establish the brokerage firm of Clancy & Clancy in Garden City, New York. Villanova was located right next door to Rosemount College, then a women-only university, where young Maureen O Grady, the daughter of Irish immigrants was studying. This summer they will be married 58 years. 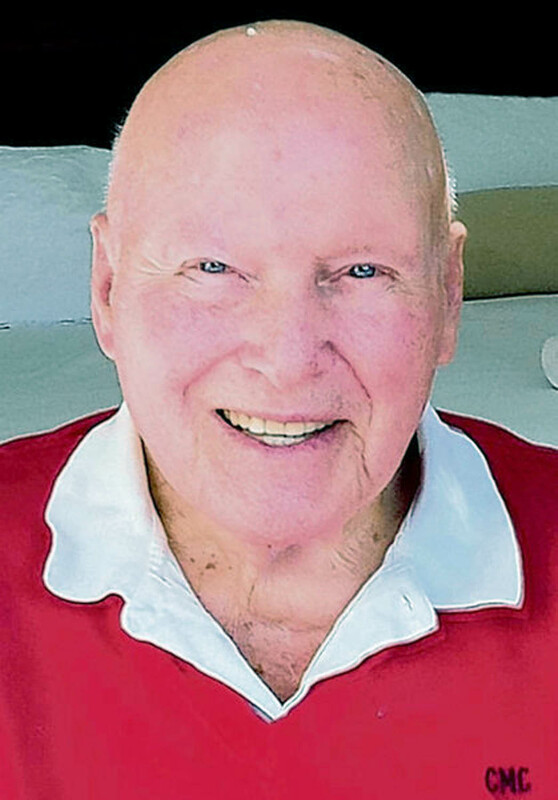 Maureen said in an interview with Malachy Clerkin, “He told me that he was going back to Ireland but as time went on things changed. He got a good job with GM. We came up to New York and Cummin set up his own insurance agency, which was very successful. We were married eight years and had five children before my first visit to Ireland. We took the three older children, who were six, five and three at the time. We didn’t go the next year, but we have been back every year since, until this past year when it was a bit too much for Cummin.” Cummin never forgot his roots. The Clancy’s live in New York but they built a house in Glann in 1967. Although Cummin, who will turn 90 in November, never went to another Olympics, the sporting gene was passed along. His eldest son Seán, played a couple of seasons in the NFL for the Miami Dolphins and his nephew Kevin, son of Paddy and Mary played minor and senior football for Galway and Matthew, son of Kevin and Betty, won All Ireland football titles in U21 and Senior with Galway in 2001. 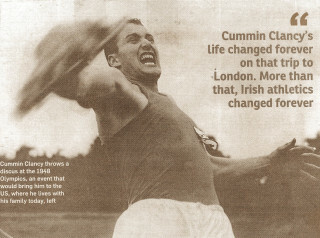 The people of Oughterard and his beloved village of Glann send best wishes to Cummin on the 64th anniversary of his appearance at the London Olympics 1948. This page was added on 25/05/2012.